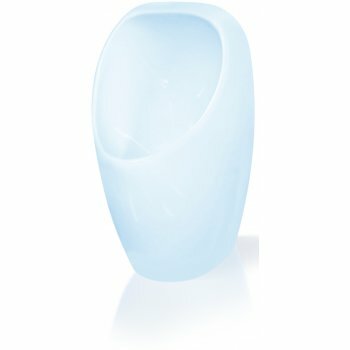 The new ceramic compact urinal from URIMAT provides a vitreous china bowl in a contemporary design that is pleasing to the eye and complements any modern washroom design. With its compact design, it provides a solution for smaller washrooms where a waterless china bowl is preferred. It is well suited for high class applications such as hotels, conference suites, private clubs and other similar venues or corporate facilities. Modern style – The modern, compact style provides a solution for designers and specifiers looking for a waterless urinal in vitreous china that will complement their washroom designs. User-friendly - The patented shape of the bowl guarantees that URIMAT is 100% back-splash free, protecting clothing and the environment. This is achieved with an extremely strong negative curvature in the impact area and with the shape of the rim of the bowl extending far to the front. Therefore, the user stands closer to the urinal, but without hitting their head on the wall, increasing the target accuracy. This significantly reduces the maintenance cleaning and saves additional costs.